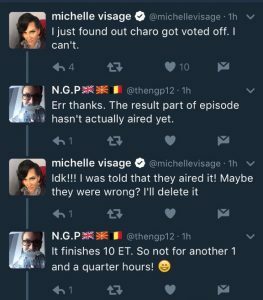 PureDWTS Season 24, Week 3 – Did Michelle Visage Accidentally Spill the Beans on Charo’s Elimination??? 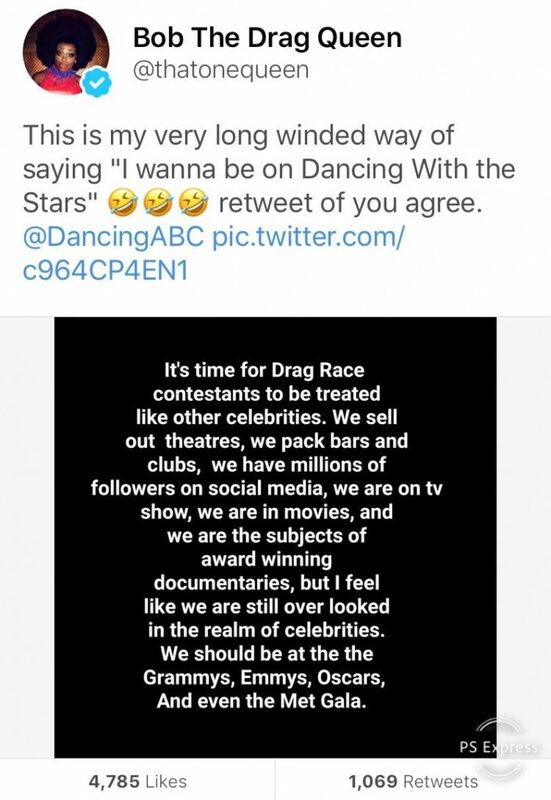 About 40ish minutes into tonight’s show, one of our readers, Nathan, noticed a strange tweet from Michelle Visage, Rupaul bosom buddy and one of the judges from Rupaul’s Drag Race. Now normally, I wouldn’t think much of this, since it’s possible she could have read some article or blog predicting it would be Charo that got the axe. 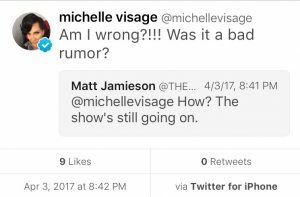 But considering that Ru himself was in the audience last week, cheering on Charo (who he’s known for years), is it possible that Michelle might have had some inside info? The original tweet has since been deleted, but you can still see some of her responses. Given that Charo allegedly was threatening to quit last week, is it maybe possible that she opted to bow out…and this was how they saved face? By pretending she actually got eliminated? Or did they maybe just give her a heads-up that she was out, in the hopes that she played nice tonight? It could be nothing, but the source and the timing did seem a bit fishy to me.